Karate for kids is a great way to start teaching those life lessons at a young age. By starting your children young, you just might spark a lifelong passion! Thinking about enrolling your child in a karate for kids class? If so, perhaps you’re wondering what karate has to offer your child when compared with the benefits of other sports. In addition to several physical benefits, like better hand-eye coordination and faster reflexes, karate for kids can also help to improve your child’s mental health. It can also boost their sense of self-worth. In this post, we’ll go some of the top physical and mental benefits of enrolling your child in a karate class. Then, we’ll tell you where you can find the best classes. Childhood obesity in on the rise in Canada. In fact, a recent study by the Canadian Childhood Obesity Foundation found that a shocking 26% of children are currently overweight or obese. Karate is a highly aerobic exercise that gets your child’s heart pumping. However, they’ll be having so much fun in class that they won’t even realize what a great workout they’re getting. Karate has also been shown to improve your child’s posture, flexibility, stamina, and overall agility. If your child is considering playing other sports in school, then they’ll certainly enjoy the boost that karate for kids gives their athletic performance. Finally, enrolling your child in karate classes is a wonderful way to teach them about the importance of eating healthy foods. You can explain to your child that if they want to power through their next class and make it to the next level, then they need to feed their body accordingly. You can even sneak in a little bonding time by cooking healthy recipes with them! Tired of your child running around your house, knocking over your furniture and making more messes than you ever thought possible? Over 5% of Canadian children have been diagnosed with ADHD and other hyperactivity disorders. But even if your child doesn’t have a diagnosed attention issue, karate for kids can still help to improve their focus and keep them calm. So much of martial arts focuses on the importance of self-control. Karate is usually taught as a self-defense mechanism. This means that your child will quickly learn about impulse control, managing their anger or sadness, and increasing their own self-discipline. Especially if your child currently struggles with fighting, kicking, or physically lashing out, karate can help them to temper their anger. It can also improve their sense of self-worth, so they won’t have as much of a desire to fight in the first place. In karate class, they’ll learn that the only way to improve a skill is to keep working hard at it. They’ll also be able to identify the milestones and successes in their life, and celebrate their accomplishments. School is a wonderful place for your child to make friends. However, as you likely remember from your own school days, it can also be an enormous source of social strain, even among young children. Enrolling your child in a karate for kids class gives them the opportunity to meet a new, more diverse set of friends. It also helps them to learn how to better interact with new people. After a few weeks in class, you may notice that your child has become more socially confident. They may begin to ask for help, or offer to help you or other children more frequently than in the past. This is because karate is all about collaboration. They’ll learn how to work with children, boost their leadership skills, and form new, lasting friendships that expose them to different types of people. Your child’s karate teacher will also frequently correct them and point out their mistakes. This means that your child will be more open to criticism and better able to take instruction and follow directions. A recent study covered by the BBC found that the average child spends at least six hours out of every day in front of some kind of screen. Of course, all that time online can destroy your child’s posture and help to promote a sedentary lifestyle. But it isn’t just the physical impacts of screen time that you need to be concerned about as a parent. In fact, studies have shown that too much time in front of a screen can lead to difficulty processing information, influence your child’s ability to properly register emotion, and can lead to difficulty with impulse control. That same study also found a link between too much screen time and problems with cognitive control. Additionally, time in front of a screen can make it more difficult for children to fall asleep at night. This can quickly start to impact your child’s academic performance. Enrolling your child in a karate for kids class means far less time spent in front of a screen — and a better way to get a sense of self-worth than on social media. Where Can You Find Karate for Kids Classes? Thanks to this post, you’re now much more aware of just a few of the many benefits that karate for kids classes can offer your child. Now, you just need to find the perfect class! 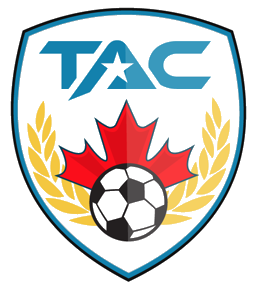 At Toronto Athletic Camps (TAC) we’re committed to creating leaders and placing your child in a motivational environment. 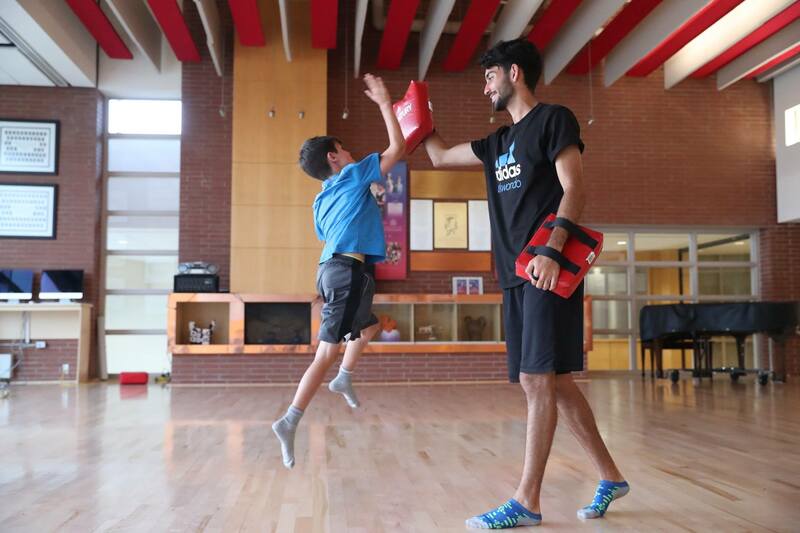 We’re not just about building athletic skills — we’re about improving your child’s life skills. When you’re ready, visit the program page of our website to enroll your child in one of our classes. You can easily filter by location, type of sport, the season you prefer to enroll in, and which program your child would like best. We can’t wait to watch your child experience the benefits of karate for kids, and teach them about the importance of valuing themselves.